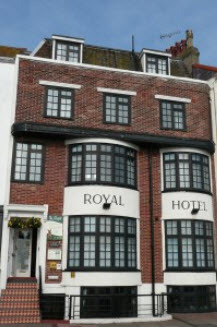 The Royal in Eastbourne is an exceptionally dog friendly B & B where you can even take your dog into breakfast you plus they offer a dog sitting service. It has a 4 star luxury accommodation right on the Eastbourne seafront with amazing walks along the promenade, over the Sister Sisters cliffs, around the South Downs and many more. Dogs stay free at The Royal and you can even upload your pictures of your dog after your stay. They also offer the AchyPaw relaxing massage service. Just ask for details from the reception staff. The Oriental Boutique Hotel Brighton is a wonderful dog friendly hotel to stay very close to the beach. It is like visiting the home of one of your friends; relaxed and unfussy, with the trimmings of a lifestyle hotel plus the friendly charm of a bed and breakfast and the city centre less than 10 minutes walk away. Bring your ‘best friend’ to the seaside and take some lovely walks along the prom, eat outside at one of the many and varied restaurants. They offer weekend breaks, midweek holidays, or a retreat from or venue for your business meetings. After you have explored the sights and delights of Brighton, how about giving your dog a treat? AchyPaw will come to the Oriental Hotel and give your dog a relaxing holistic massage. Just ask for details from the reception staff.